“Just Good Friends” is the fifth track on Michael Jackson’s 1987 album ‘Bad’. The song features a rare duet with longtime friend and fellow Motown legend Stevie Wonder (their only other recorded collaborations being “We Are The World” (1985) and ‘Get It’ (1987). “Just Good Friends” is the only song from the ‘Bad’ album which was not released as a single. The song was written by Terry Britten and Graham Lyle, the same pair who crafted Tina Turner’s 1984 hit “What’s Love Got To Do With It”. 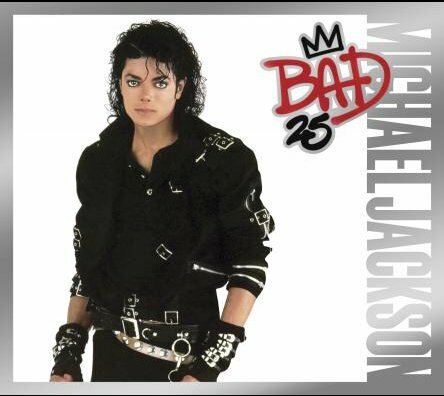 It is one of two songs from the ‘Bad’ album which were not composed by Michael Jackson. Na na na – na na na na nah! That looks can fool you babe, hee! Dah! Chicka – chicka – chicka – ah! Ah! Chicka – chicka – ah! She loves me, she loves me, Hee! Hee! Hee! Hoo Hoo! © 1987 WB Music Corp. All Rights Reserved. Used by Permission. “Just Good Friends” - written and composed by Terry Britten and Graham Lyle. Vocal duet with by Michael Jackson and Stevie Wonder. Ollie E. Brown, Humberto Gatica, Bruce Swedien: Drums. Kim Hutchcroft, Larry Williams: Saxophones. Gary Grant, Jerry Hey: Trumpets. Michael Boddicker, Rhett Lawrence, Greg Phillinganes, Larry Williams: Synthesizers. Rhythm, synthesizer and vocal arrangements by Terry Britten, Graham Lyle and Quincy Jones. Horn arrangement by Jerry Hey.